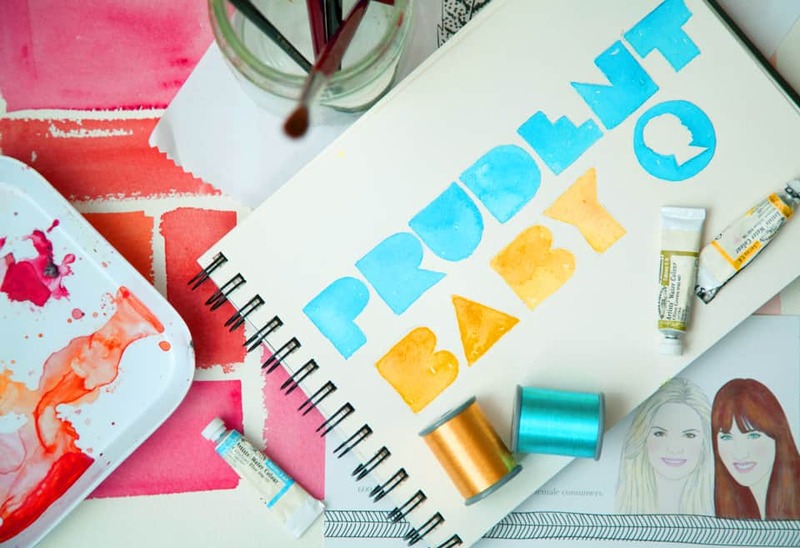 Introducing A Brand New Prudent Baby! 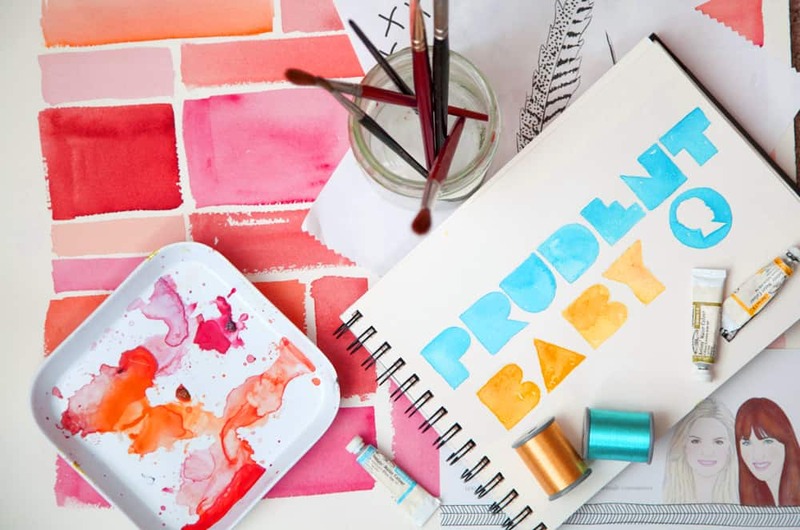 We’re so excited to introduce our all new Prudent Baby! After many long months of nurturing, she’s finally arrived. We’re gazing at her with a bit of exhaustion and a lot of bliss; we hope you adore her as much as we do. Let us introduce you! We wanted to create a site that made it easier for you to find the project you want to make. Feel like sewing, but not sure what? Head over to the BY CRAFT button, and choose Sewing & Serging from the drop down menu. There you’ll see all of our sewing projects with pretty pics so you can quickly flip through them. 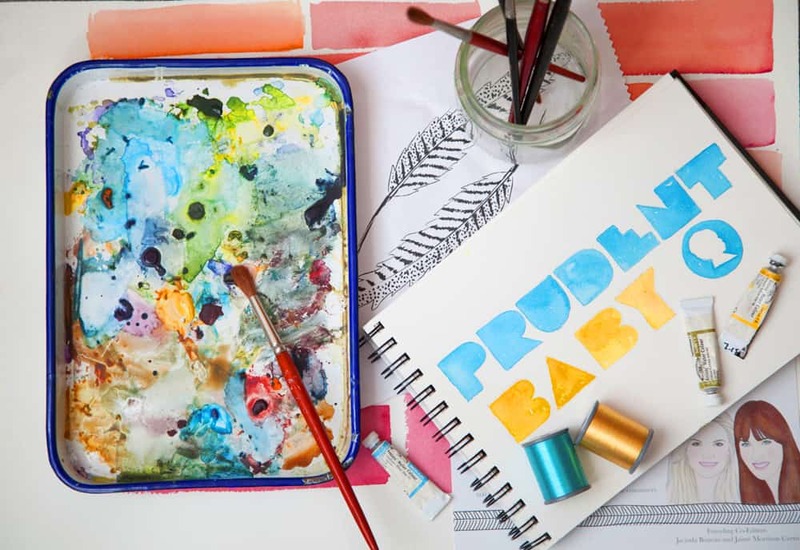 Or perhaps you are headed to a baby shower and want to make a blanket for the new bean; in that case, head over to the BABY+KID menu and choose Baby Essentials, there you’ll find tutes for all the things babies need. Throwing a party? The ENTERTAINING+FOOD category has crafts, recipes, and more. I think you get the picture. And of course, if you know exactly what you’re looking for (say the One Shoulder Dressy Dress or How to Ice A Cake) you can still go ahead and use the search box, which is up there on the top right. There’s so many ways to find what you want or to browse around and get inspired. We’ve also got a better commenting system just like you asked, so leave lots of comments and we will be able to respond to you directly, which we promise to do as quickly as we can as soon as our kids get their shoes on and stop asking for candy and such. We’d love if you oohed and aahed over our baby’s beauty. She takes after Jacinda’s side of the family, what with her blue eyes and artistic streak. You may have heard that Jacinda is working on a new line of fabric, and I’m so head over heels in love with it, we used it as inspiration for our new look. Yup, Jacinda hand painted and drew all the pretty details, even those lovely buttons under our illustration (which we commissioned from I Missy You, and like so much we may never let ourselves be photographed again). Freckled Nest helped us design the site, those are some talented ladies if you want a blog redesign or an ad whipped up, they are your girls. The duo that helped birth this baby are Sean Benham and Tina Lam, they are probably the best developers in the world, true experts at migrating from Blogger to WordPress, which, if you know anything about blogging, is a mighty task. And since they have babies, they don’t even mind if your child tries to swordfight you while shrieking “Frosty the Snowman” when you talk to them at midnight their time. So take a minute to get to know each other, Prudent Mama and Prudent Baby, we hope you fall in love. We can’t wait to read your comments and hear what you think. I’m speechless…your new baby is absolutely gorgeous!!! I know it was quite a task to redesign what already is my go to blog bible! Thanks ladies, and congrats to you and all involved in creating this wonderful space! I’m the first one??? Okay, so here goes: oooooh … and of course aaaaah … and yay, the new page is great, congratulations! Love the clean and modern look and especially the search possibilities. And whose supercute baby feet are that?!? Love it! The painting is such a personal touch. What a huge job- congrats on a beautiful site! 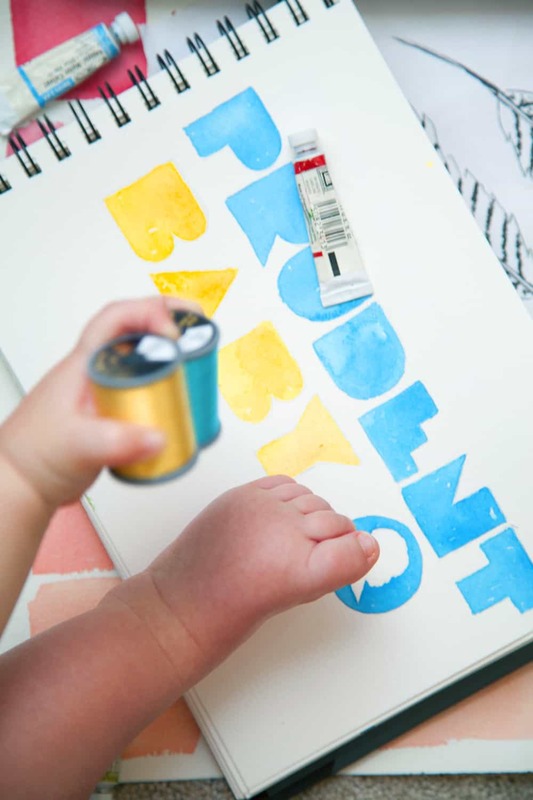 I love everything about the new Prudent Baby! I didn’t know you could make navigation any easier but you did. The graphics are beautiful. There’s nothing I don’t love about it. It looks beautiful!! Congratulations. I also just switched over to WordPress and holy hell its kind of been a nightmare. I am so glad I did it though. Girls, it looks fantastic!! I can only hope that my blog looks this fab someday!! ahhh. how refreshing! so lovely ladies. She’s beautiful!! Congratulations! I’m going to poke about for a while… I LOVE a drop-down menu, let me tell you. Congrats again, it’s just fantastic! This was already one of my favorite sites, now it’s even more fabulous! Congrats, it looks great! Way to go! Congrats on the good look, it is fabulous. Thanks for all the continued hard work. Looking good ladies! Can’t wait to browse through all your lovely projects….for the 50th time! Love the new design, but I’m sad that pictures don’t show up in my Google reader feed anymore…the pictures are what entice me to go to the site and see the whole article…and get lost looking at ones I haven’t read yet! Congratulations! Great job with the new design of your website… Love it! I agree with Jessy–new design is beautiful but please bring photos back to the RSS feed! I do like the clean, artsy look! If you must have a click through on RSS now, could you please take away that annoying video ad? I have been enjoying reading/seeing pics through RSS and clicking to bookmark or leave a comment (and it’s easier to email a post through Google Reader). That video loads for more than a minute, and while it loads, I can’t scroll and read, and it won’t load on a tab in the background either. I know you need to be ad-supported, but even with the video muted, it’s still affecting the experience. Or turn off the click-through requirement in your new set-up, perhaps? Love the new site! Gorgeous. sorry we are having RSS issues but we are trying to work it out so the pictures come back!! i hate the short feed too! Another vote for bringing back a readable RSS feed, and fewer annoying (long-loading) video ads on each and every post. I really love catching up on your blog with great daily updates, but the only way this is manageable for me is via an RSS feed. I still wind up clicking through to your site pretty frequently when I want to bookmark great info! this RSS thing is making me crazy but i promise we are working on it! Love it, but the font color is so faint, I can barely read it. I have to squint and get really close to the screen. Is this only happening on my computer? Add me to the list of readers who hates the clipped RSS feed. I hope you are able to return to the full post showing up in the reader. Thanks! The RSS feed is only giving like 1-2 sentences I liked it when I could read the entire post in my google reader. if you could fix that I’d love it! You’re website rules! Wonderful items from you, man. I have remember your stuff previous to and you are just extremely excellent. I really like what you have received right here, really like what you’re stating and the best way through which you say it. You’re making it entertaining and you still take care of to keep it smart. I can’t wait to learn much more from you. This is actually a wonderful web site.